A powerful and robust mailing list and newsletter management application that gets the job done fast and easily. You don't need to spend hours sorting through complex manuals anymore, ListMessenger Pro's intuitive and easy to use interface lets you quickly get the job done. Please Note: To purchase ListMessenger Pro you must create an account in the Members Area, which allows you to securely manage your licence keys and download the package immediately after payment is complete via PayPal. ListMessenger Pro is licenced on a per-domain basis, meaning you must purchase a new licence key for each domain or sub-domain you install ListMessenger on. Need your key reset? We do allow a single licence key reset during the first 12 months, please review our licence key reset policy for more information. The standard single-domain ListMessenger Pro licence agreement prohibits the re-branding of the ListMessenger administrative interface, it also prohibits the redistribution in part or in whole of any modifications you have made to the application. Companies who wish to provide their customers with a "white-label" version of ListMessenger Pro can do so only if they purchase a re-branding licence. The cost of a re-branding licence is currently $499.00CAD, and that gives you an added bonus of a $15.00CAD discount off of each licence key you purchase. 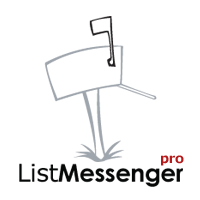 If you plan on purchasing multiple copies of ListMessenger Pro you may be interested in our reseller discount option. Once you have purchased two licences of ListMessenger Pro at regular price, you are invited to contact us and request the "reseller discount", which is currently $10.00CAD off of the regular price of ListMessenger Pro. 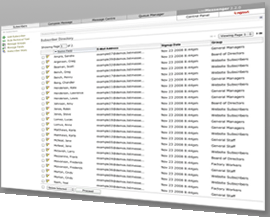 If you are purchasing ListMessenger Pro for an educational institution or a registered non-profit organisation we do provide a discount of $10.00CAD off of the regular price of ListMessenger Pro.